Do you feel overwhelmed, stressed, your energy levels are low and you really need a break from your routines? Or do you want to relax, take time to pamper yourself and just put yourself first? Imagine, that you spend a week in the middle of the most beautiful landscape with lake and forests. Enjoying of the peace and silence, just taking time to yourself and having a feeling to be completely in harmony with the nature, forgetting all the stress and your daily routines. After one week you find yourself completely renewed, relaxed, full of peace and joy of life. Ready to face your challenges with new, positive attitude and powerful confidence to yourself. Together with YogaMinna we offer you a super Nourishing Wellness Yoga week in a middle of a beautiful landscape in Eastern Finland. Silence and healing power of the nature. Pure, local and homemade food which nourishes and purifies your digestive system and makes you feel really good. Good and deep sleep in our beautiful house. You can breathe in the fresh air and find surprising how quiet this place can be. Activities depending of the season. You can go fishing, snowshoeing, skiing, walking in the nature, picking berries from the nature and swimming in the lake. Real Finnish smoke sauna and outside bubble pool. Dynamic yoga flow in the mornings and relaxing yoga with meditation exercises in the evenings. You have the possibility to have one-to-one coaching sessions. If you have any questions concerning your nutrition, well-being, career or overall happiness, our trainer will be guiding and supporting you. Yoga training is made for everyone and you do not need any previous yoga experience. You can always make the poses in more demanding or easier way. Your yoga trainer is Minna Hämäläinen. Besides being a yoga trainer, she is also a Business Coach and Integrative Nutrition Health Coach. 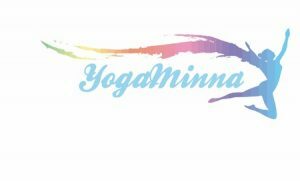 Minna works in international business and teaches yoga. Her teaching is very supporting and encouraging. After yoga exercises you feel your spirit uplifted, all your big muscles have worked hard and you just feel so good. Niemilomat offers you complete package for your well-being. We are here for you! We arrange Yoga Retreats on order for groups of 8-12 persons.